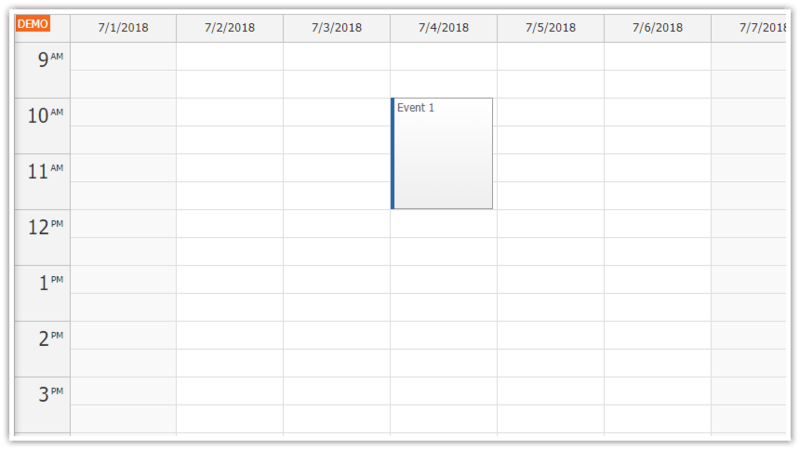 The Angular calendar component can be configured to fill the available space. We will use it in combination with a simple sidebar component to build a full-screen calendar user interface. This Angular project was generated using Scheduler UI Builder. This Angular project includes a simple collapsible sidebar component in SidebarModule (src/app/sidebar directory). We will use the sidebar to integrate a date picker into our full-screen view. Our Angular application will display the date picker (implemented using DayPilot Navigator component) in the sidebar on the left side of the screen. Users can click the selected date to change the current week in the Calendar component. They can also collapse the sidebar if more space is needed for the calendar. 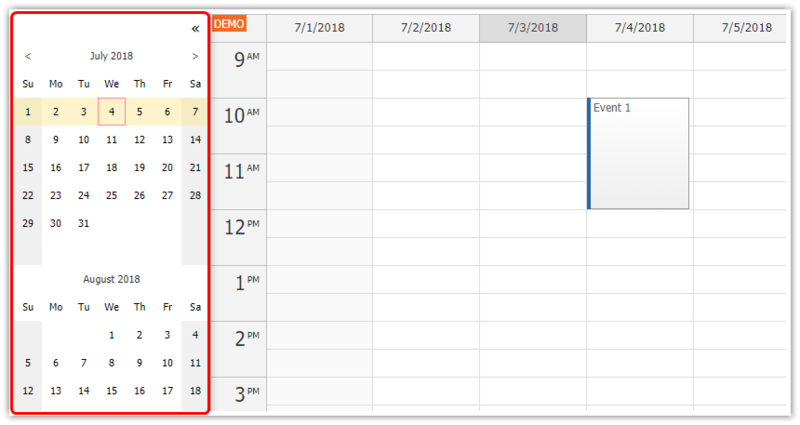 See also Angular Calendar: Date Switching tutorial to see how to change the date displayed using the calendar component. This tutorial shows how to create a custom CSS theme for the ASP.NET timetable control. Includes C# and VB.NET source code and sample SQL Server database.